macom® have launched a new technology within the material used in their best compression garment ranges. Following extensive research and listening to feedback from doctors, surgeons and nurses, who for decades have relied on compression garments to optimise surgical results, macom® set out to find the ultimate fabric to further enhance post treatment outcomes. macom®’s fabric has a smoother, velvety feel and a cooling sensation when in contact with the skin. 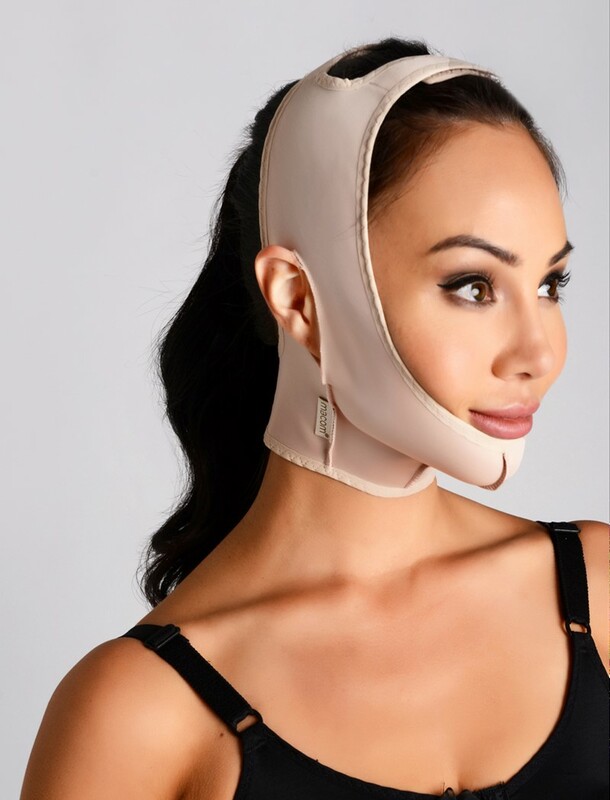 The soft-touch feel of the material, combined with the compression, provides a boost in lymphatic flow which is also beneficial to a patient during the recovering process. The fabric features movement technology, which means that the material mimics the wearers’ movements closely while lying flush against the skin, preventing any unwanted empty spaces or creases. The one-way-lock stretch system built into the fabric technology delivers further improvement by ensuring that swelling is contained and stabilized. These are some suggestions of the Best Sellers from our wide selection of compression garments including garments for tummy tuck, lipo, breast surgery and more.